No matter where you are, selling your home not only involves important financial decisions, but marks a special moment in your life. Working with an experienced team of real estate professionals while going through this process can make your experience even more remarkable and worthwhile. Committed, highly experienced, and utilizing the most recent and innovative technology — these are just a few reasons why you should consider listing with Ruth/Chris Real Estate. Here at Ruth/Chris Real Estate, we want you to feel like you’re our top priority. We offer highly personalized real estate services, tailored to fit your situation, needs, and goals. Additionally, our property-specific solutions and effective marketing strategies will present your home in the most professional manner, and command the strongest response from the market possible. The end result is selling your home for top dollar in the least amount of time, and with the very best terms and conditions specific to your circumstances to sell. We can easily say that we’re different than other real estate company out there and leave it at that, but we like to walk the talk. 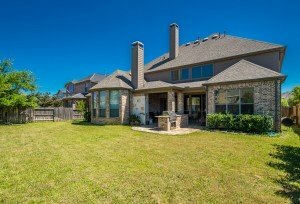 Here at Ruth/Chris Real Estate, we offer a variety of unique service guarantees that will make listing your property with us an amazing experience! Below are just a couple examples, Contact us today if you are interested in learning more! Communications Guarantee – According to the National Association of Realtors, the #1 complaint from surveyed sellers, was that there was a lack of effective communication with their agent. When you list with us, you’ll be given a clear framework of how we will work together. This helps us avoid any mishaps and misunderstandings throughout the entire process. Our communication guarantee will also ensure accountability and set up-front expectations from the very start of the process. Easy Exit Listing Agreement – We believe that you should never feel trapped, pinned down, or obligated by a long-term, binding contract. If you are not 100% satisfied or feel that we have not delivered the services we promised, you can terminate your agreement with us at no cost to you. Aside from an accountability standpoint, our intention is to keep YOU in control throughout the entire process. How much better could it get than that? *Contact us today to learn more! One of the benefits of listing your property with us is that you’ll get to tap into our rich resource of service providers and vast knowledge and experience utilizing effective marketing campaigns. We’ll prepare a custom strategy to suit your property, maximize its exposure, and sell it at the highest price possible. Hands-on property preparation – We’ll personally guide you step by step, through all the necessary preparations to get your property ready for sale. From updates and repairs, to professional home-staging, we will ensure that your property is presented to the marketplace in its best possible light. Professional photography – Nowadays, the very first showing for your home takes place on the internet. We capitalize on this opportunity by utilizing the services of our professional photographers to properly present and showcase your home online. From our experience, we know that this is what gets prospective buyers off their couch and into your home. We understand and realize that it is our responsibility to drive as much traffic to your home as possible. Private video home tour – Have you ever heard the old saying “A picture is worth a thousand words”? According to online statistics, a video is worth even more. Video search engine optimization has become mainstream and quite frankly, more relevant than any other form of online information (this was facilitated when Google purchased YouTube). Per Zillow and Trulia statistics, homes listed online with a video tour receive on average 3 X more views than homes without one! Doesn’t your home deserve 3 X more attention from the marketplace? 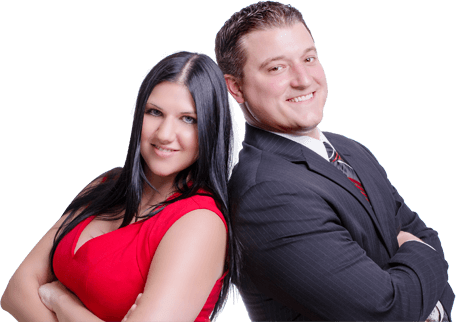 Here at Ruth/Chris Real Estate, one of our top priorities is to maximize the overall exposure your home receives, and we are able to accomplish this through video marketing. We create custom-made private video tours that are not just entertaining to viewers, but also effectively highlight the unique features of your home and most importantly, add value in the eyes of interested buyers. This also provides an opportunity for out of state and international buyers to properly view and understand what you home has to offer. Premium Property Brochures – Your home deserves to be presented to the marketplace in a consistent and professional manner. This is a critical factor when considering the “perceived value” of a property. What kind of message do you want delivered to prospective buyers for your home? We print high quality, full color property brochures on card stock material to successfully convey the value of your property. This is enhanced by professional photos along with well-written and informative property descriptions. Mega open houses – We host open houses that drive massive traffic to your home and command the attention of prospective buyers. Statistics show that the highest and best offers are made on a property within the first two weeks of being listed for sale. Our intention is to create an atmosphere of demand and a strong sense of urgency around your home. This ensures that we get the very best offers for your home in the least amount of time. Deciding to list your home with Ruth/Chris Real Estate opens the door to a land full of opportunities. We value your time and greatly appreciate you visiting our website. Please don’t hesitate to reach out if you are interested in further discussing the sale of your home, or even if you simply have a few questions that need answers. Our commitment is that we will always be straightforward and honest with you, and tell you what you need to hear, not just what you want to hear. From our experience, this has always established a relationship based on trust, and a solid foundation moving forward. Contact us today for more information or if you’d like to get started. Selling your home? List with us and get personalized and professional service.